The Hills Hornets narrowly edged out the Penrith Panthers in the closest match of the weekend, 78-77. After falling behind in the second quarter and trailing for much of the game, their comeback was fueled by a 27-18 final period push. The Hornets didn’t shoot as well, going 7 for 26 from three, but took 17 more field goals as a result of an up-tempo style of play and 18 Panther turnovers. Hills’ Paul Brotherson led the way with a double-double, amassing statistics such as 20 points, 14 rebounds, five assists, four steals and a block. His running mate Mitchell Brown accumulated 16 points, five rebounds and four of his own steals. Penrith Panthers’ Sean Weekes had a productive weekend, against the Hornets he flirted with a triple-double: dropping 10 points, 15 rebounds and seven assists. His next game against the Sydney Comets on Sunday, he accumulated 22 points and 12 rebounds in a tight loss against Sydney, 86-82. Central Coast reigns supreme atop the ladder with an unblemished record after downing the Manly Warringah Sea Eagles, 69-63. The Crusaders put up 14 points in the first half including four during the second quarter. Following a slow start, they exploded with 34 points in the third, 20 points more than they scored in the first half, then finished the game out with a strong 21-16 quarter. Crusader Mitchell Rueter, the league leader in points per game at 23.3, continued an outstanding 2019 campaign while going for 26 points and eight rebounds. His teammate Callum Jenkins took up 15 rebounds while adding 17 points to secure the win. The Sutherland Sharks took the win over the Sydney Comets, 94-83. Sutherland scored 44 points in the paint, thanks largely in-part to power-forward Taj Spencer who secured his second double-double in the season with 23 points and 12 rebounds. Five Comets reached double figures; William McFee, Alex Overs, Matur Maluach, Jackson Simkovic, and Thomas Dawson had 20, 15, 14, 13, and 10 points respectively. Despite Saturday’s loss, the Comets took home a win against the Penrith Panthers 86-82 on Sunday. The Hornsby Ku Ring Gai Spiders overcame the Canberra Nationals in an outstanding effort, 89-86. Shanae Greaves stepped up and supplied her Spiders with a team high 21 points and eight rebounds. Although she scored two points, Rebecca Duke set her Hornsby teammates up with five assists and seven rebounds. The Norths Bears handed Bankstown Bruins their first loss of the season behind a strong team effort, 88-49. Five Bears achieved double figures; Elizajane Loader had 10, Emily Simons had 11, Elle Carroll had 12, Kendra Asleson had 13, and Kate Seebohm had 14. Not to be overlooked, Norths’ Alessandra Burke filled the stat sheet with eight points, seven rebounds, and four assists and steals. The Norths won this game on their efficiency: they shot 45% from the field, 35% from three, and 73% from the line. The Penrith Panthers picked one of two wins this weekend against the Hills Hornets, 74-48. Meg Jefferson had a busy weekend, accumulating 50 points through the weekend as her team’s leading scorer. In their second contest on Sunday, Penrith beat the Sydney Comets, 63-58. Panther Natalia Beaumont crashed the glass for eight offensive rebounds, securing a double-double with 14 total rebounds and 16 points. The Shoalhaven Tigers beat the Bankstown Bruins, 87-82. Tigers Bruce Ozolins and William Ozolins contributed the two highest scoring totals for their team, with 37 and 16 points respectively. Svetomir Gavriolovic of Bankstown continued a consistent 2019 season, he’s scored 20 points in each contest and had 23 on Saturday. The Port Macquarie Dolphins won their first game in 615 days on Saturday, defeating the Central Coast Waves, 77-66. Torren Hunter took charge for his dolphins, racking up 25 points as the game’s high scorer. Waves’ Jeremy Walker led his team with 17 points. The Dolphins will soak up their win with a bye before a home encounter with Springwood on April 13th. The Tamworth Thunderbolts triumphed over the Dubbo Rams in Dubbo last Saturday, 93-80. Tamworth’s Samantha McCubbin, Anika Earsman, and Taylor Skelton had team highs of 26, 19, and 17 respectively. Dubbo fired back with the likes of twin twenty-point scorers with import Faatimah Amen-Ra (22) and Demi Wilson (20), but the effort ultimately wasn’t enough. The Queanbeyan Yowies defeated the Goulburn Bears, 59-52. The game’s top point-scorer Emma Rowclife of Queanbeyan scored 18 points, while three Bears reached double figures; Georgia Mae Teague had 12 points, while her teammates Amber Ditterick and Naomi Lucas had 11 points. The Sydney Comets faithful who packed the Alexandria Basketball Stadium on Saturday night were treated to a high-scoring affair in which their team sunk the Sutherland Sharks 106-101. This game featured five twenty-point scorers; Matur Maluach, William Johnston, and Bryn Williams of the winning side had 26, 24, and 23 points respectively. Sharks’ Kristian Andrievski achieved the game-high 29 points, while his teammate Brendan Winstanley had 23 points, including five three-pointers. The Maitland Mustangs secured a tight win over the Newcastle Hunters to chalk up their first win of the season, 78-75. Maitland’s high scorers were Taiga Cantor with 21 points, while Lachlan Beavis and Keegan Harvey both scored 16 points. Leading scorer Alexander Clinton of Newcastle recorded 24 points, but his team failed to grasp victory. 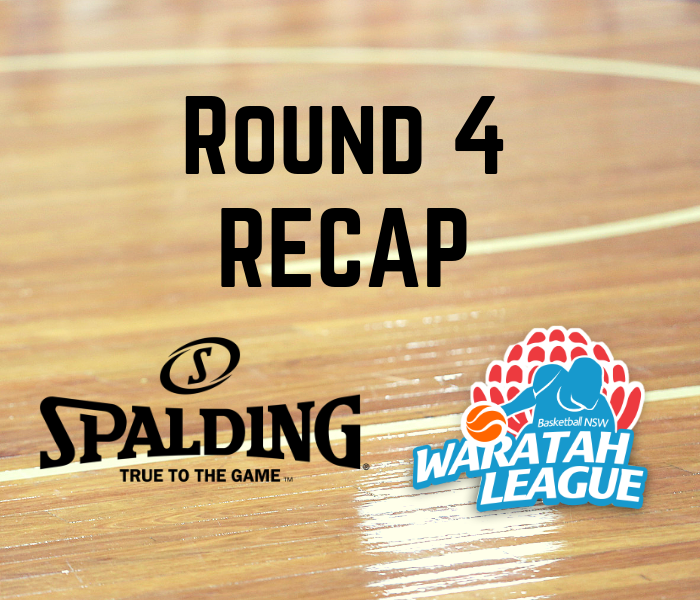 The Hornsby Ku Ring Gai Spiders continue their unbeaten streak, picking up their third win of the season against the Sutherland Sharks, 73-60. Kira Mocatta led the way for her Spiders with 26 points, while Lauren McCaffrey of Sutherland had 15points. Hornsby leads the ladder at 3-0, with Bankstown at 2-1 close behind in second place. The Manly Warringah Sea Eagles completed a 20 point win against the Central Coast Crusaders, 83-63. Antonia Henderson scored a game-high 28 points, while her sister Felicity Henderson and teammates Zoey Miller and Lauren Walker backed her up with double figures of 14, 11, and 10 points respectively. The Hornsby Ku Ring Gai Spiders White defeated the Goulburn Bears, 68-65. Nowel Musa shinned for the Spiders, finishing with 25 points. Goulburn’s scoring load was carried by Bailey Stewart, Joshua Conquest, and William Neate who had 21, 17, and 15 points respectively. The Illawarra Hawks won an exciting match against the Blacktown Storm, 96-89. Hawks’ James Turner had 28 points while his teammates Lukas Battisti and Joshua Bowmer brought in back up with 16 each. Blacktown’s Jordan Roman had the match high of 33 points.